"These muffins were just OK. They were kind of pale in color. Maybe I didn't ... read full review"
In large bowl, combine flour, sugar, baking powder, cinnamon and salt; make well in center. In small bowl, combine milk, bananas, butter and eggs; add to well in flour mixture. 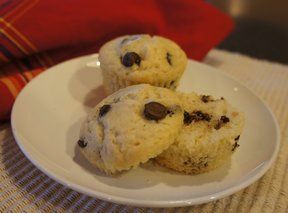 Add chocolate chips and 1/2 cup nuts, stir until dry ingredients are just moistened. 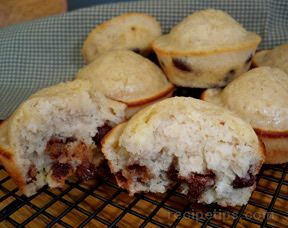 Spoon mixture into greased or paper lined muffin cups, filling each 3/4 full. 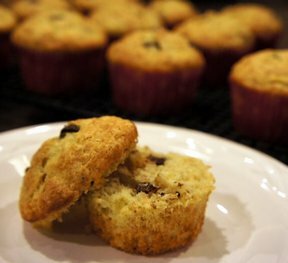 Sprinkle approximately 1 teaspoon nuts over each muffin. 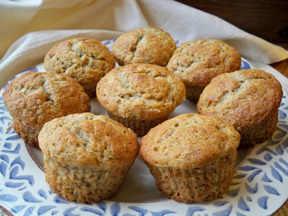 Bake at 400° for 18-20 minutes for large muffins. Cool 5 minutes before removing from pans. "These muffins were just OK. They were kind of pale in color. Maybe I didn't bake them long enough. I probably won't make them again."